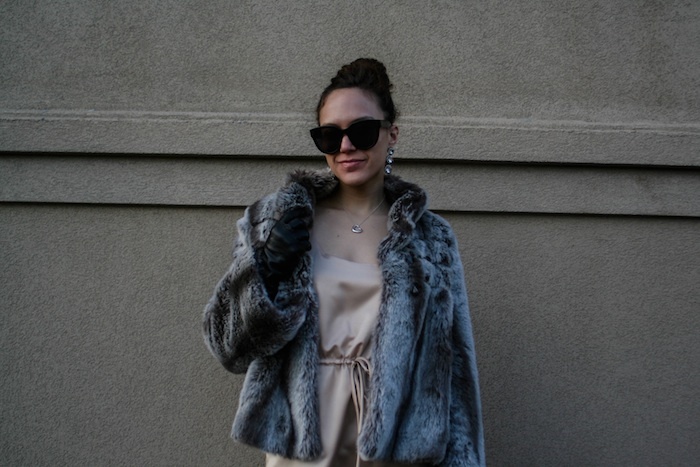 I'm channeling Holly Golightly for my most formal Valentine's Day look, though I may end up wearing something warmer tonight. It's going to be cold in the mountains! And we got our reservations, which I'm very happy about. Thanks for the good vibes on that one! Happy Valentine's Day, to all of you. I hope your day is filled with love. 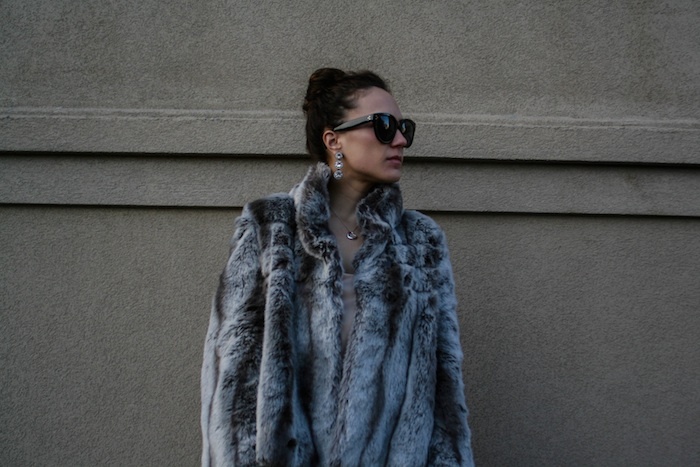 Céline sunglasses, Badgley Mischka earrings (similar), Tiffany's necklace, Nordstrom faux fur (similar), Urban Outfitters dress (also awesome), DKNY tights, Chanel pumps, Prada wristlet (different color). This is one of my favorite looks of you!! Really elegant and chic, you're beautiful! Beautiful dress. You look beautiful! Love the Hepburn feel of this outfit, you look gorgeous. Hope you had a fun Valentines! Oh my gosh - you look hott!! Love the look. Happy Valentine's Day, sweetie! "valentine's day at tiffany's"? love this look! I always find silk exotic, i love this one on you. Fab coat also! Happy Valentines Day! Enjoy!!! I love this outfit and your blog is really cool.